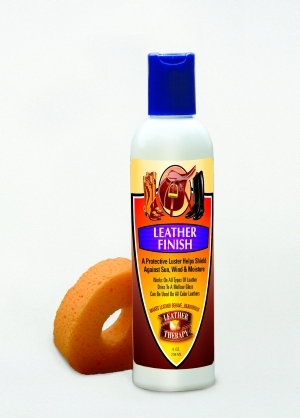 A protective, breathable satin lustre for all leather items. This is a professional NO-WAX product used to enhance and beautify smooth leather items with a protective, flexible lustre and shine. Not colour-specific. This is a professional NO_WAX product used to enhance and beautify smooth leather items with a protective, flexible luster and shine. Use when the presentation of your tack and boots are important in the show ring. For use on leather of any colour. One coat for a satin finish, more coats for a high shine. Easily applied to clean dry leather with a soft sponge as the final step in creating beautiful leather. NOTE: This product should not be used on suede or nubuck.